In a joint effort, The Wilkins Foundation and Shiloh CDC ; non-profit organizations in the Trenton Area, are committed to improving the quality of the residents in the Greater Trenton Communities through social programs, the arts, culture and education. 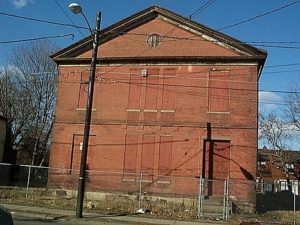 It’s the foundations plan to hold an annually event with the Trenton community to bring awareness and tell the unique history of the Higbee School and its influence on the African American’s journey in America. The Higbee Street School, also known as Bellevue Avenue School; John T. Nixon School; School, is located at 20 Bellevue Avenue, Trenton, NJ. 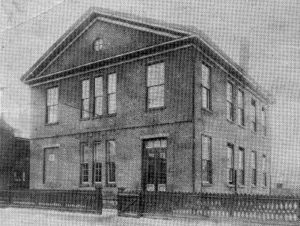 The school was designed by Evernham and Hill architectural firm, and the building was built in 1857. 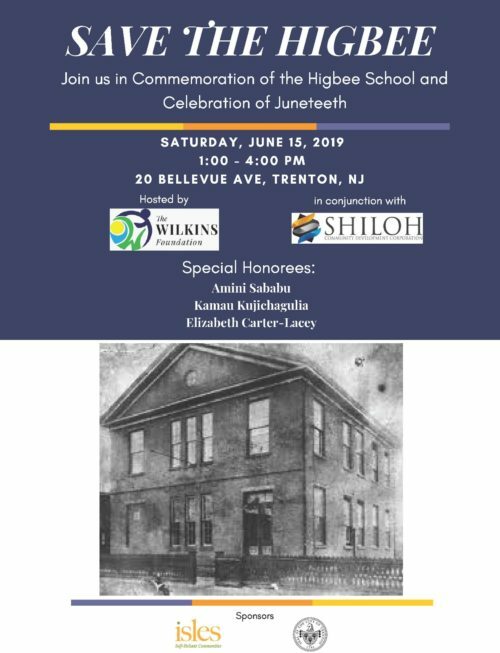 The Higbee Street School was the first educational institution specifically constructed for the free public education of African-American students in Trenton and among the earliest such schools built in New Jersey. The Trenton School Board built five Greek Revival-style schools in 1856, employing design concepts promoted by contemporary education reformers. As such, the Higbee Street School is distinguished among the state’s few surviving schools for Black children, because of its progressive design. In 1872, the student population outgrew the facility and moved into temporary quarters while the new Bellevue Avenue Colored School was under construction. It was added to the National Register of Historic Places on April 14, 1995. The Wilkins Foundation was founded in 2018 by Lisa Michelle Wilkins Toro. As children growing up; with her two brothers and sister, her parents, Alijah Marcel and Ethel B. Florence Wilkins, always insisted on education and knowing who you are or at least where it is you were going in life. Lisa’s mother had a profound love for black history and her father a great love for nature. Inspired by them, Lisa made it her business to improve the quality of the communities in her hometown by creating the Wilkins Foundation. It’s her hope to support the community through education, art, science, music, photography, film and nature. Growing up in the West Ward of Trenton was a great and wonderful experience as a child and it is her hopes to give some of those wonderful experiences back. The Wilkins Foundation is committed to telling the unique history of the African American’s journey in America and how they helped to shape our county both past and present. Preserving and maintaining the cultural and educational growth of the African American community; Recognizing the unique social and cultural diversity within communities through education, art, music, science, nature and film to promote further growth in character and identity and to Develop a comprehensive approach to the maintenance and preservation of African American history, culture and historic sites promoting voluntary efforts and funding sources from public and private sectors. The vision and objective of the Wilkins Foundation is to be community based focusing on community advancement to strengthen families through outreach programs and work camps.